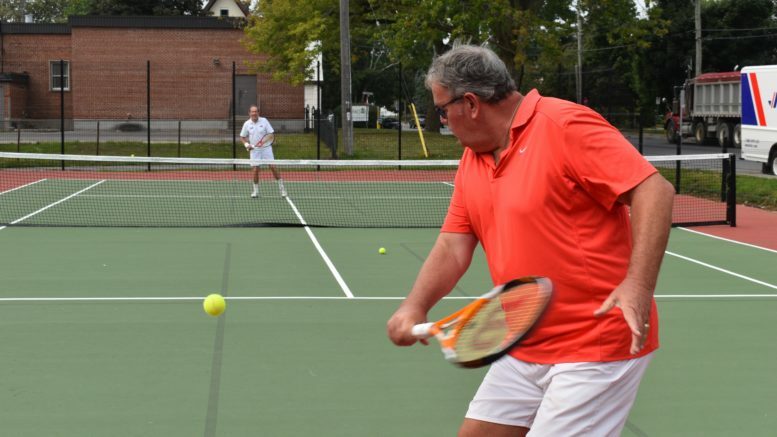 Canadian tennis royalty met Prince Edward County tennis royalty at the newly refurbished court at Benson Park on Monday. The caring nature of Prince Edward County residents was in the spotlight on a regional level Wednesday in Kingston as part of National Philanthropy Day. Each year, the Association of Fundraising Professionals South Eastern Ontario Chapter hands out awards in five categories to people who go above and beyond to give within their communities. From an area between Brighton and Brockville, two award winners were from the county — Lanny and Catharine Huff as philanthropists of the year and Re/Max Quinte’s Prince Edward County office as the outstanding corporation with under 99 employees.